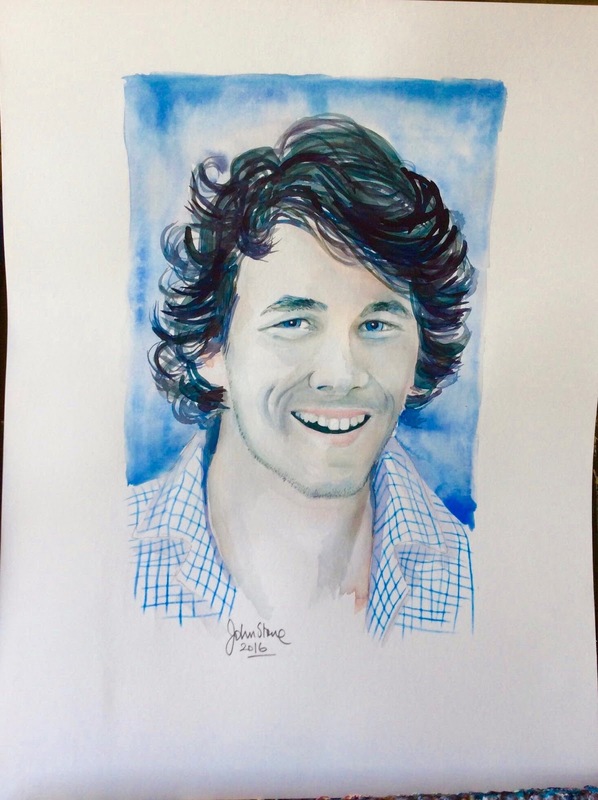 In late 2016, just before I went to Tasmania on holiday, a French lady asked me to do a watercolour portrait of her son. He lives in Paris and I've never met him, but she did have a recent, albeit rather poor, photograph of the young man. I look forward to hearing what her son thinks.